Ashley and Jared first met in 2015 on Bachelor in Paradise's second season and spent nearly three years in a confusing friendship with on-again, off-again flirtation. But the couple got engaged in June 2018 after one month of officially dating, and now they're going to be getting married this summer! Ashley and Jared, both 30, will be exchanging vows in August 2019 in Rhode Island at a "beautiful" and "fancy" venue, according to Us Weekly. The couple has teased their wedding will be a "romantic experience" with about 180 guests rather than just a big party. Since Ashley and Jared's relationship saga is something out of a romantic comedy, their wedding will reportedly be based on the movies. "Our theme is... romance movies," Ashley told Us last month, adding that there will be "blatantly obvious" references to Titanic and When Harry Met Sally. The pair will also pay tribute to The Bachelor in some way. "There will be roses here and there. I think there's going to be one prominent rose that we have an idea for," Jared shared, referencing the character Rose DeWitt Bukater from Titanic. "We love our theme," Ashley gushed. Jared revealed it's been "fun" planning their nuptials because they agree on the same ideas and constantly find themselves on the same page. The Bachelor in Paradise alums will also have a "special musical guest" perform at their wedding, according to Us. "We're not talking, like Backstreet Boys level," Ashley shared last month. "And it's not Rob Thomas... but we're both very big fans." 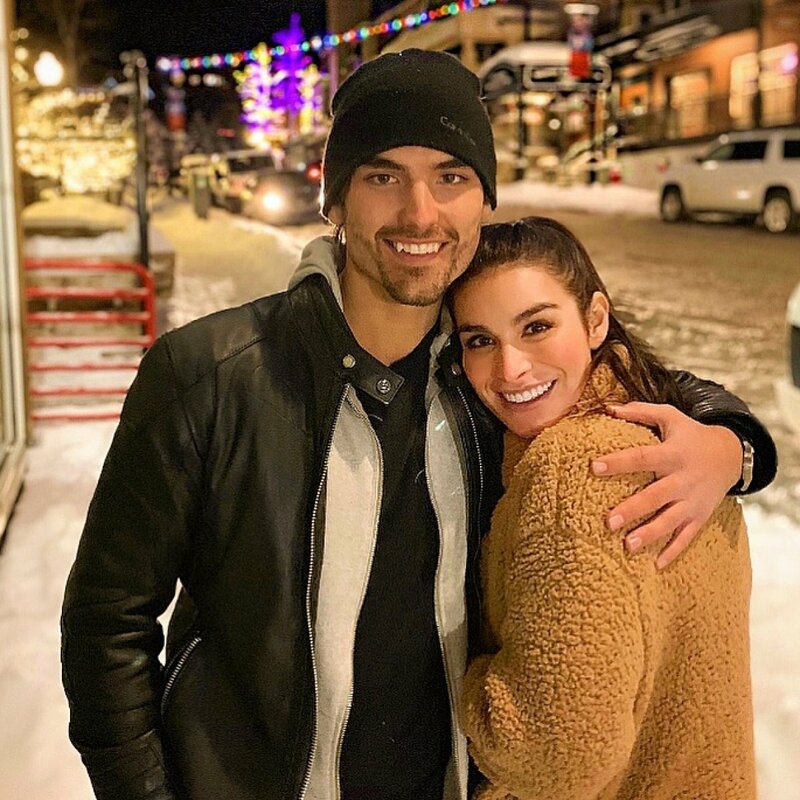 In November 2018, Ashley reportedly revealed she will be having 10 bridesmaids, with her sister Lauren Iaconetti serving as the maid of honor. And Jared insisted Bachelor in Paradise couple Jade Robert and Tanner Tolbert will definitely play a role in the ceremony and their special day. "Jade and Tanner are our best couple friends from the show," Ashley previously told the magazine. "I'm sure they'll both be in our wedding. We've been friends for three years." As for details regarding decorations and decor, Ashley said she's "thinking emerald" for the color scheme and wants to wear a princess ballgown with a strapless, sweetheart neckline down the aisle. "I can wear, like, a mermaid or a form-fitting dress at any event I go to, so I kind of want to do the ball gown, which I can't do at any other time," Ashley disclosed. And Jared joked he might wear a white jacket to "mix it up" and "spice it up" a bit. Ashley and Jared's first dance at the reception will also be to a Rob Thomas song, given Jared is arguably his biggest fan.